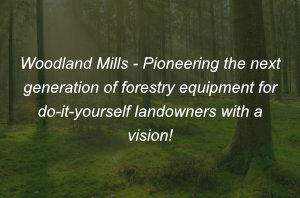 In 2009, Woodland Mills began designing and manufacturing sawmills after recognizing a need in the industry for well engineered, affordable mills built specifically for do-it-yourself landowners with excess trees and a vision! To fill this void, Woodland Mills set out to design a solidly constructed sawmill that would enable industrious landowners to convert trees into lumber at a price that was easy to justify! A sawmill for handy individuals who enjoy projects in the great outdoors and prefer milling their own lumber rather than paying the high prices charged by lumber stores! Knowing that for a sawmill to be great, it must be tough enough to stand up to any challenges our customers may throw at it and offer the same cutting precision and quality as the much more expensive mills do. And it was with these guiding principles in mind, that Woodland Mills built engineers began their quest to design the highest quality, best valued portable sawmill in the industry. From the launch of our very first portable sawmill, the HM126, we knew we had built a great mill that our customers loved, but we also recognized there is always opportunity for improvement. We also realized that the needs of all sawyers are not all equal! Therefore, we expanded our lineup to include the beefier HM130 sawmill with higher horsepower and greater cutting capacity for sawyers requiring the ability to cut massive logs, and the HM122, ideal for weekend warriors who also require precision cutting but are willing to forgo big log milling capabilities for an even more exceptional price point. Since then, our engineers have made it their continued mission to ensure these 3 models live up to our expectations of being the highest quality, best valued sawmills in the industry. But the innovation doesn’t stop there! In response to our customers telling us how much they love our mills, but really wish we offered a trailer based version that could be towed through rough terrain or on the highway, we answered with our Woodlander series of sawmill trailers. Now sawyers can take their milling operations mobile, while still experiencing the same high-quality milling experience as they always have with Woodland Mills sawmills! 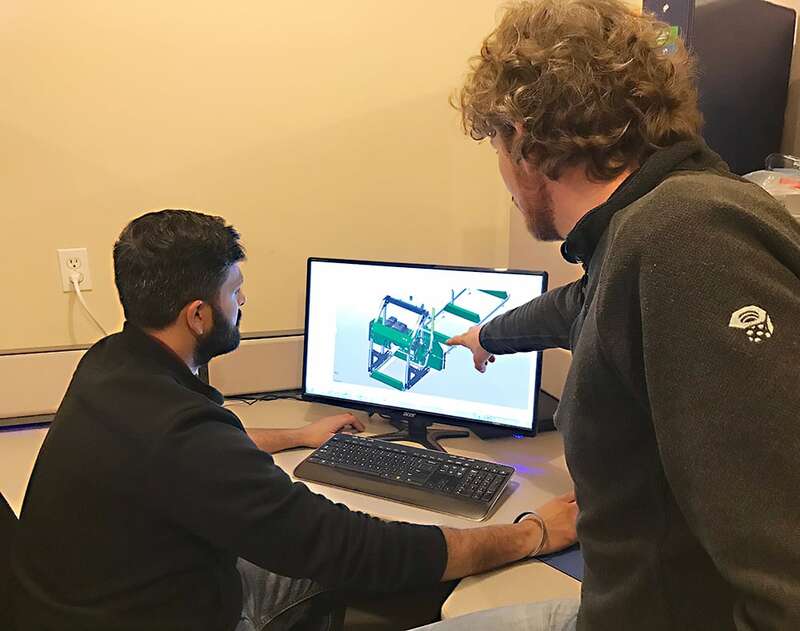 Woodland Mills engineers discussing CAD designs (computer aided design) for portable sawmill prototype. But simply building an exceptional sawmill for an amazing price isn’t enough. Where Woodland Mills really shines and what sets us miles above the competition is the phenomenal level of customer and technical support we provide to each of our customers. As you can see from our customer reviews, we make it our mission to ensure that your entire Woodland Mills experience, from the early stages of your sawmill research, to many years into your milling expeditions, we are there to support you in any way we can. So whether you are a hobby woodworker, have some big projects on the horizon or want to earn some extra money, we have the right sawmill for you. With the most customer sawmill reviews of anybody in the industry, find out why so many people have been extremely happy with selecting a Woodland Mills sawmill to help them tackle their projects and make their visions a reality!